I am very glad I finally got to read this book. I'm extremely happy that this is not my first contact with Malaz and the Book of the Fallen, however. Ian Cameron Esslemont (ICE) may have helped create the terrifically complex world, races, deities, magics, and histories of The Malazan Books of the Fallen but he most definitely is not Steven Erikson. And this book, though obviously about a locale and people and characters Malazan readers know and love, is not The Malazan Book of the Fallen. It begins with an intriguing prologue -- yes, I read them! -- but Chapter 1 was a bit of a chore to get into. Esslemont likes big words. Very big, uncommon words that mean very simple, common things. I know a lot of words and I can understand many more based upon their usage and the context in which I come across them. It is unusual for me to have to look up a word while reading an entire novel. I had to look up seven words in this less than 300-page book -- three of them in the first two pages of Chapter One. To say I was discouraged is to put it mildly. I was also disappointed by several editing errors in spelling and word form throughout the book. Yet I persevered because I love the world of Malazan Erikson has presented to me thus far and I wanted to know about the events referenced in this book. I had to read it, just as any faithful follower of Malazan does. It was a test of understanding and endurance that, quality-wise did not satisfy, but content-wise did. Erikson and Esslemont's world is filled with large, powerful entities that are constantly vying for more power. There is never enough of it available despite there being more power in this series than in any three other series I can think of off the top of my head. Magical superior beings, gods, ascendants and ancient races populate so much of this world it's the little people who are scarcer than polar bears lost on a Pacific island. These are some of the coolest characters in all of fantasy and I cannot get enough of them or this world. This story occurs in one night, set pre-"Gardens of the Moon." In a less-than-24-hour period, many of the events that shape much of the stories Erikson has already penned take place. Steve provides an introduction that explains the personal history of the two friends creating and writing in their shared world. Many characters and events belong respectively to each author, and this one belonged to ICE. It contains the anticipated subterfuge and machinations of many minds, layers upon layers of deceptions perpetrated by battling races, warrens, gods, mages, soldiers, usurpers and defenders common to the Book of the Fallen. This book holds, or at least hints at, the secrets behind some of the powers. 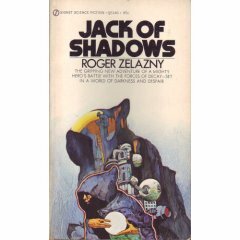 The story involves several characters known to Malazan readers and introduces several more, only a few of whom matter. Kiska is one of the protagonists and the most well-developed character ICE writes; I am dissatisfied with his other protagonist, Temper. Temper is often simply too unbelievable, and I am forced to question his motivations in several instances and his willingness to make commitments or assume duties that just don't seem to mesh well with the man. This is sadly disappointing as well, for Temper heavily reminds me of some other larger-than-life characters -- Druss (David Gemmell's great character) and Gruntle from (you guessed it) Erikson's Memories of Ice. I also do not like the last page of this story. While all else in the book contributes to the drama and essence of the Malazan conflicts (including allusions to the slim hold a certain two characters have on a certain warren -- nice touch! ), the end contributes a totally unnecessary, unwanted, new conflict. One that doesn't fit anything written to date and doesn't coincide with all the information provided in advance on ICE's highly anticipated sequel, "Return of the Crimson Guard." The last half page actually read more like science fiction with its attempt to explore why one race committed certain actions in direct counterpoint to another. It seemed rather awkward to suddenly present this analytical look at race relationships in a manner normally reserved for science fiction's rants when the issue hadn't been raised previously. Oh well. I liked learning the background information and reading the continuation of the story and world I love, but I didn't like the writing much. Malazan fans need to read it; non-Malazan readers should not, cannot, begin their relationship with this world and series through this book. I do highly recommend The Malazan Book of the Fallen tales though! Would I recommend Night of Knives: A Novel of Malaz by Ian Cameron Esslemont to my friends? To established Malazan fans, Yes. Overall, I'd have to rate the book a 6 out of 10.